You won’t believe this Vegan Strawberry Cheesecake recipe has no dairy in it! 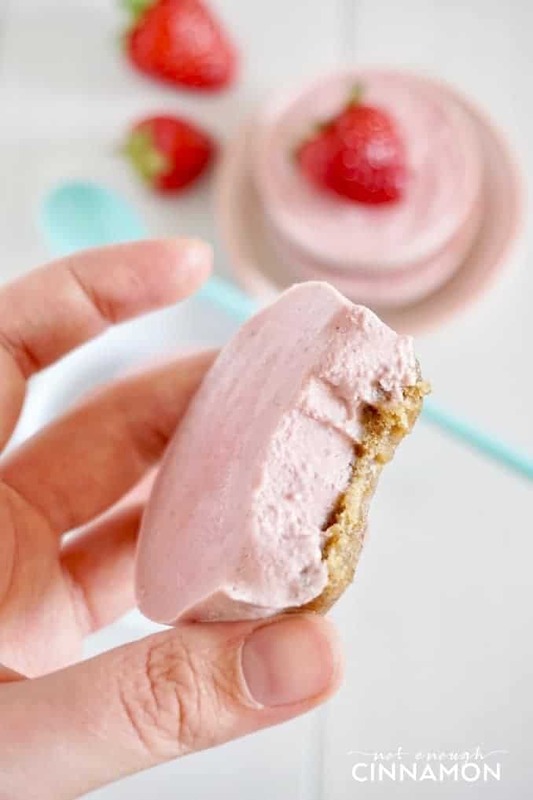 Made in mini molds, these individual no-bake strawberry & cashew cream cheesecakes make for the best summer dessert ever! This is Chapter Two of “My Mind Is Blown Away By All The Things You Can Do With Cashews”. 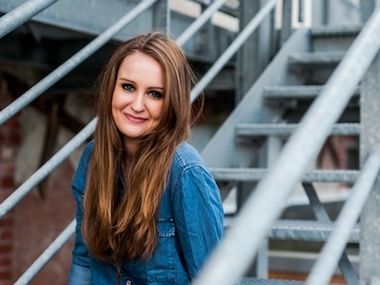 Chapter One was a dairy-free Caesar dressing and now…this. 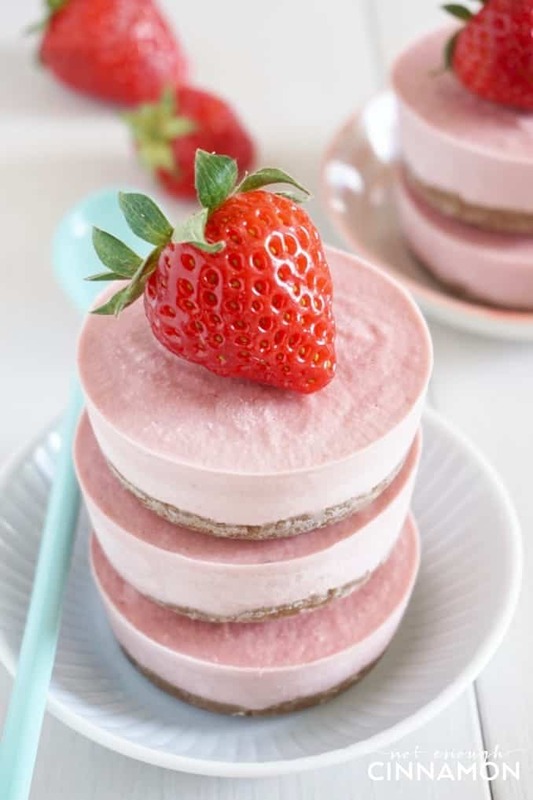 No-bake vegan strawberry cheesecake. The idea of dairy-free cheesecake sounds insane, right? I’ve seen cashew-based vegan “cheesecake” around for a very long time now but to be honest it sounded kind of strange to me and not really appetizing. Being true to myself = always late with food trends, I finally gave it a try 2 years later and OMG, mind = blown. You won’t believe this Vegan Strawberry Cheesecake recipe has no dairy in it! How on earth can cashews make the most creamy and smooth and delicious filling?! I do not know but I wanted to eat the whole batch of vegan strawberry cheesecake filling straight out of the bowl. Good thing I have to share them or I would not be bikini ready for our month in Tel Aviv (plus I have to save room for all the falafel and hummus and shawarma and…all the things, you know!). I’m a sucker for strawberry desserts and this vegan strawberry cheesecake is no exception! It’s nutty, it’s fruity and it’s fresh. I love them most when they’re still a bit frozen, after sitting on the counter for 10/15 minutes. So creamy! If you’ve been on the fence about baking/cooking cheesecake with cashews, do give these mini cheesecakes a go, you’ll love them! If you tried this vegan strawberry cheesecake recipe, don’t forget to rate the recipe below and let me know how it went in the comments – I love hearing from you! You can also follow me on Instagram, Pinterest, and Facebook for more deliciousness and behind-the-scenes! You won't believe this Vegan Strawberry Cheesecake recipe has no dairy in it! Made in mini molds, these individual no-bake strawberry & cashew cream cheesecakes make for the best summer dessert ever! To make filling: Drain and rinse raw cashews. Add to a high-speed blender with strawberries, coconut oil, maple syrup, lemon juice, and sea salt. Blend until super smooth and creamy. Set aside. (A normal blender would work too but make sure you soak the cashews more than 3 hours and blend until it's as smooth as possible). 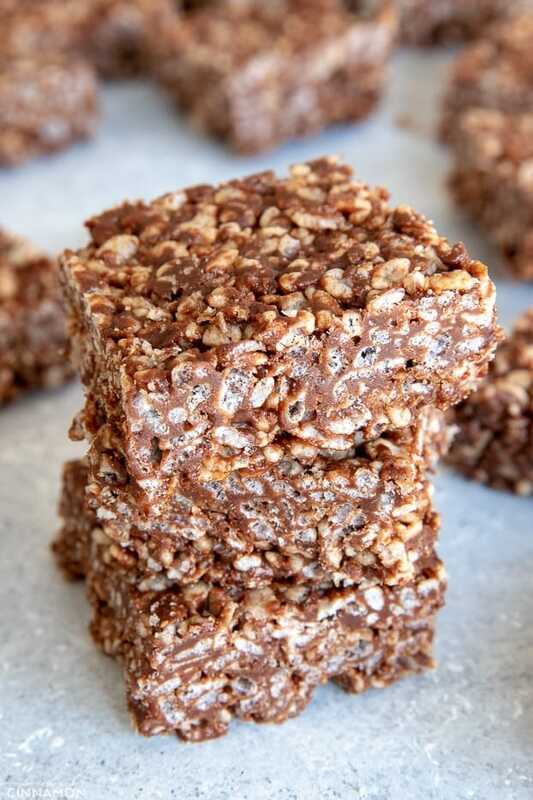 To make crust: add pecans, dates, coconut, coconut oil and sea salt in a food processor. Pulse until “dough” forms and comes away from the edge. Grease a muffin tin (see notes) with coconut oil. 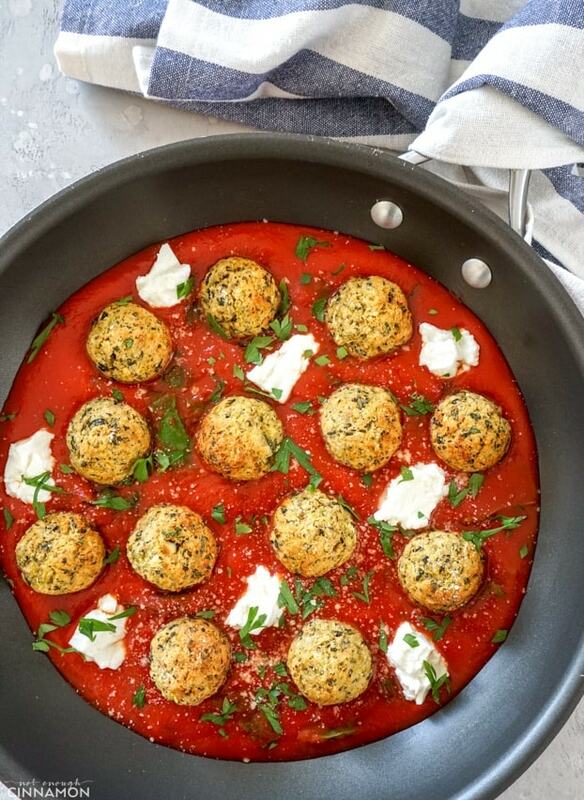 Roll crust dough into 12 round balls. Press each flat between the palm of your hands and press into each muffin tin. Repeat until muffin tin is filled. Spoon filling mixture evenly amongst 12 muffin tins, then freeze for 4 hours or overnight. (If freezing overnight, unmold and let sit on the counter for about 15 minutes before serving so it's not too hard). To unmold, run a clean knife around the cheesecake bites and lift with a fork or an offset spatula to turn them out. I used a silicon muffin tin like this one to make the unmolding super easy. These look so good! I am scared of cheesecake with cashews because of lumps…You have made is look so easy. I will need to try them! This is fluffy and delicious! My whole family enjoyed it. I did make some substitutions based on what I had on hand. First, I had to use frozen strawberries, then for the crust I had to use 1/2c raw walnut and 1/2c roasted sunflower seed. I also added about a teaspoon of vanilla paste to the cream mixture. Man, it’s delicious! We did soak the cashews overnight & I used my vitamix for both the cream and the crust. The cream is sooo smooth. You guys, just make it. Thanks For this recipe! ???? I’m so happy to hear you loved it Jessica, thank you!! It’s so beautiful beyond words, Marie – I really adore it. Thanks for sharing this! Aww thanks so much Pat! 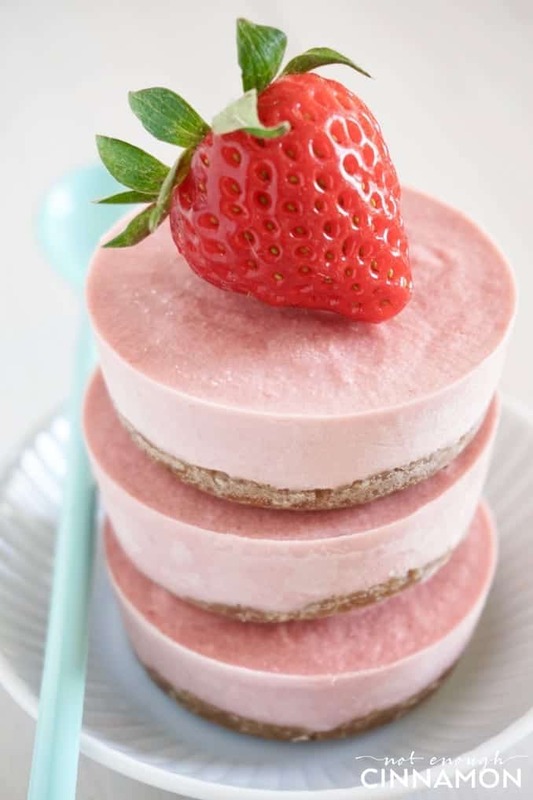 I do love everything with strawberry and this vegan strawberry mini cheesecake of yours is so cute and appetizing. My little niece will surely love this. These are such a pretty, delicate colour and I bet the coconut flavour with the strawberry works so well. 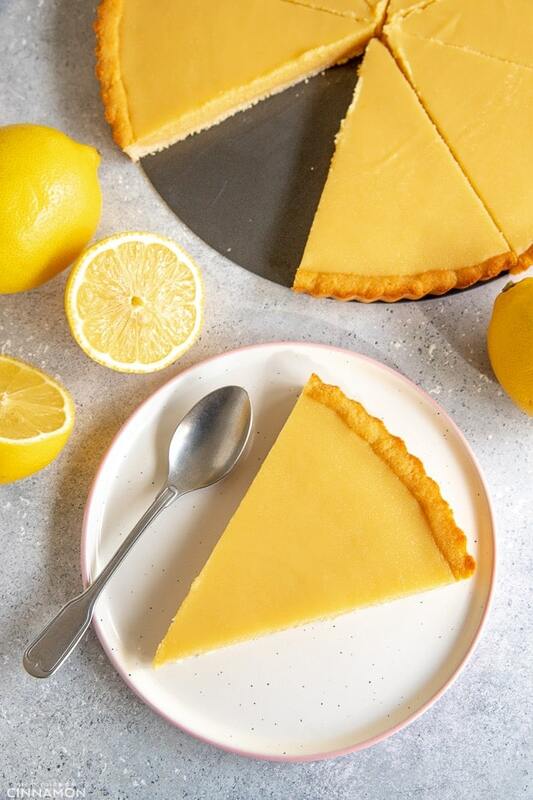 Vegan cheesecake?!?! Now I’ve seen everything! Thank you so much! Have you tried freezing these for a longer time and pulling out when you need them? Just wondering how far in advance I could make them! Yes you could definitely do that! 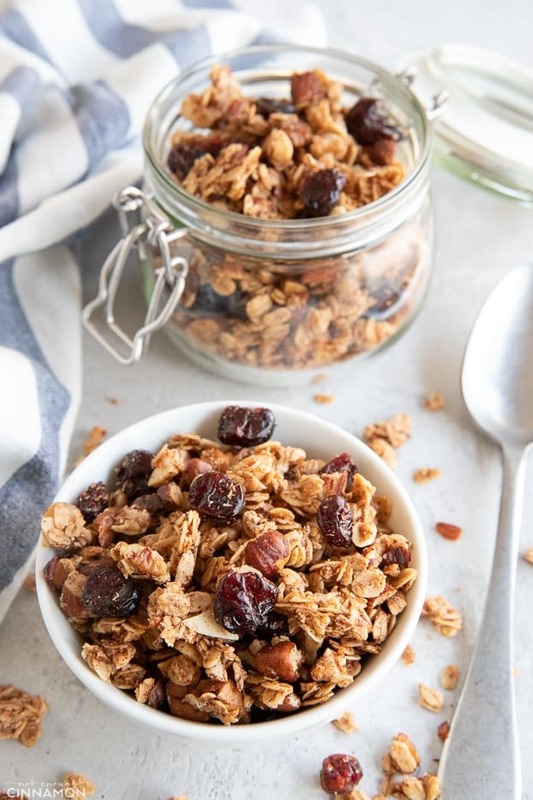 Just make sure to wrap them and store them in a airtight container to avoid any “freezer” taste.